All our clients are treated on an individual basis and we always do our best to cater for any special requirements. We do not have a set price policy as we believe every customer deserves a personal service for their special occasion. 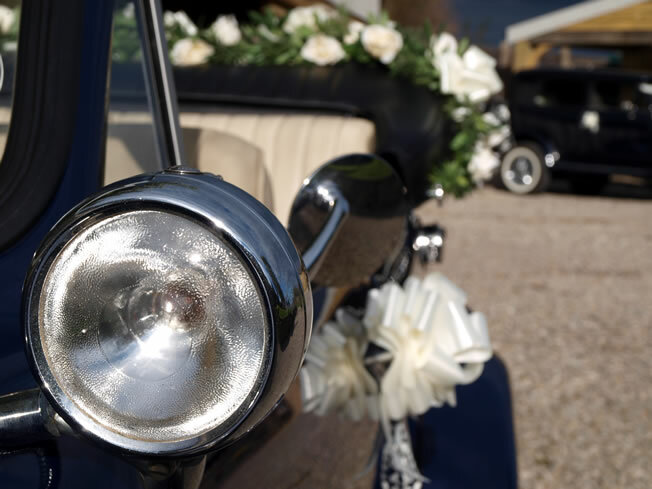 Our prices quoted are fully inclusive and include your chauffeur, ribbons and silk flowers to all cars. All cars carry umbrellas in case of wet weather. We ask for a £100 deposit on booking and the balance is due a month before the wedding.